I previously reviewed the Tangle Angel hairbrush and couldn’t help but sing its praises. I have such thin and fine hair that standard hairbrushes can be too harsh and actually cause hair loss. After extensive use I found that the Tangle Angel was perfect at combatting this and was even gentle enough to use on my hair extensions. 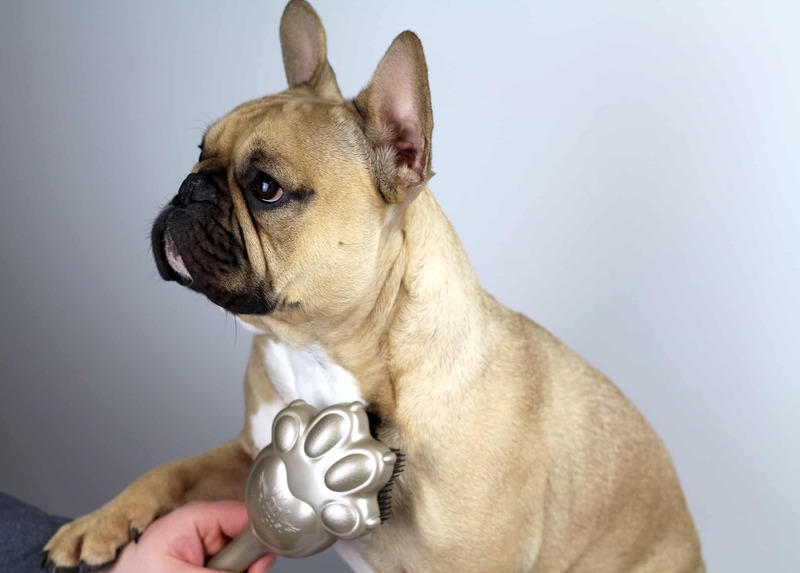 Being a big Tangle Angel fan when I was sent the Tangle Angel Pro Compact & the Pet Angel for my French Bulldog Stitch I was more than excited to put them to the test. The Tangle Angel Pro Compact is the perfect size to slip into a handbag and since I’m pregnant my soon to be change bag! 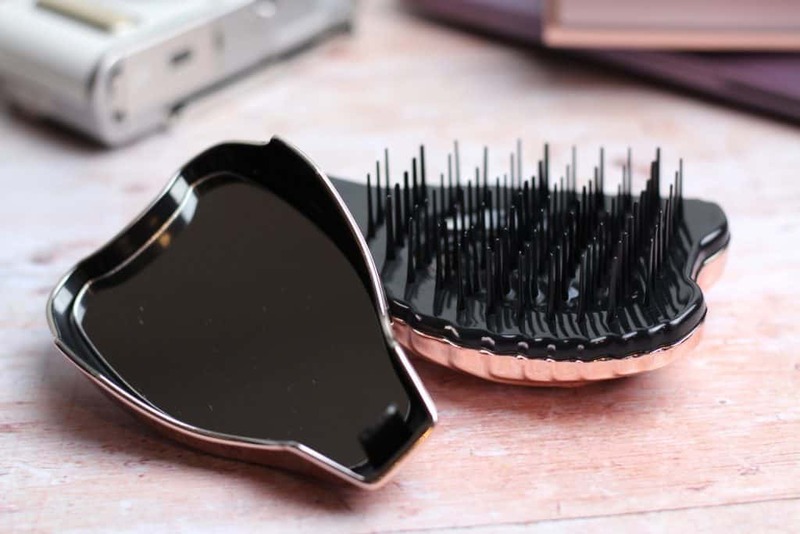 The bristles are protected so they don’t get damaged or matted up with the contents of your bag and there is a handy compact mirror which is definitely a positive!! The bristles have been scientifically developed and they flex in opposing directions which help to gently loosen tangles without pulling. The brush has antibacterial additives making it hygienic and safe to use. You can use the Tangle Angel Pro Compact in the bath or shower and it is heat resistance so can be used with a hairdryer without risk of damaging the bristles. Another feature I love is that it doesn’t make my hair static or fly away which is a problem when hair is fine like mine! Anyone that has read my blog before knows that my dog Stitch is treated very much like the prince he believes he is! 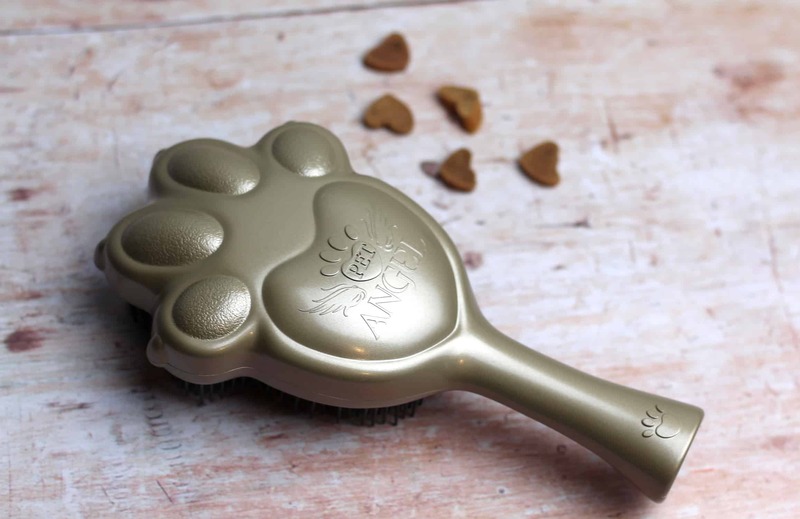 I dote on him – a little too much so of course when I found out that Tangle Angel do a Pet Angel brush I was very excited to see what Stitch thought. Stitch has a short course coat so tangles aren’t really an issue for his breed. That being said there is huge benefits to grooming even short haired dogs and the Pet Angel is perfect for getting out loose dead hairs and making his coat look shiny and new. The bristles aren’t harsh even on his sensitive skin and I found it very effective at removing loose hair which often ends up on my clothes!! Just like with the Tangle Angel Pro Compact the brush has antibacterial additives which are 99.9% effective at reducing unwanted bacteria which is a real positive! 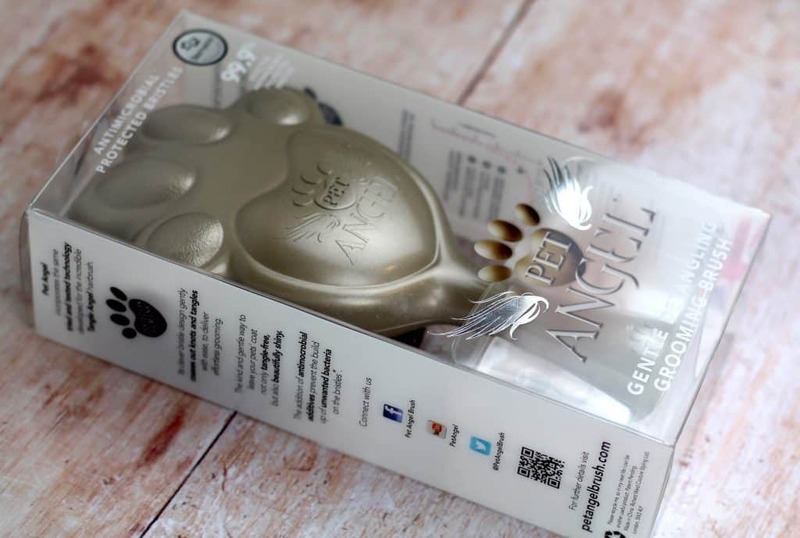 The Pet Angel can be used wet or dry so it’s perfect for using during bath time to help massage in shampoo and detangle long haired dogs coats. 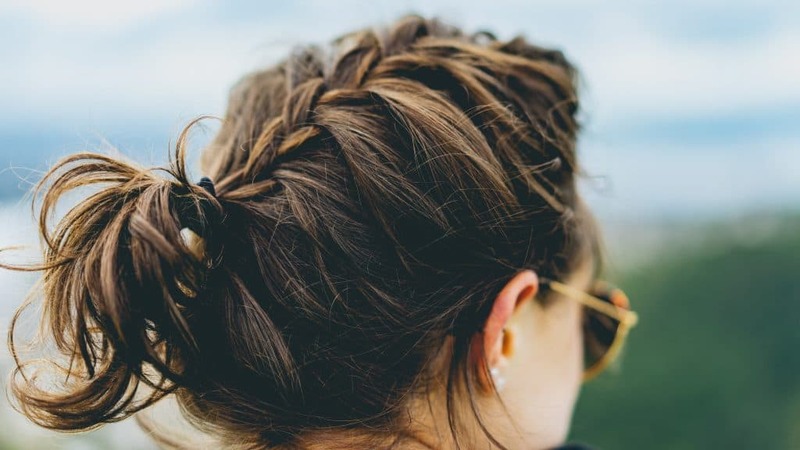 There was no issue with the brush holding onto loose hair and you can simply tap it on a hard surface to remove and easily rinse it under a tap if needed. 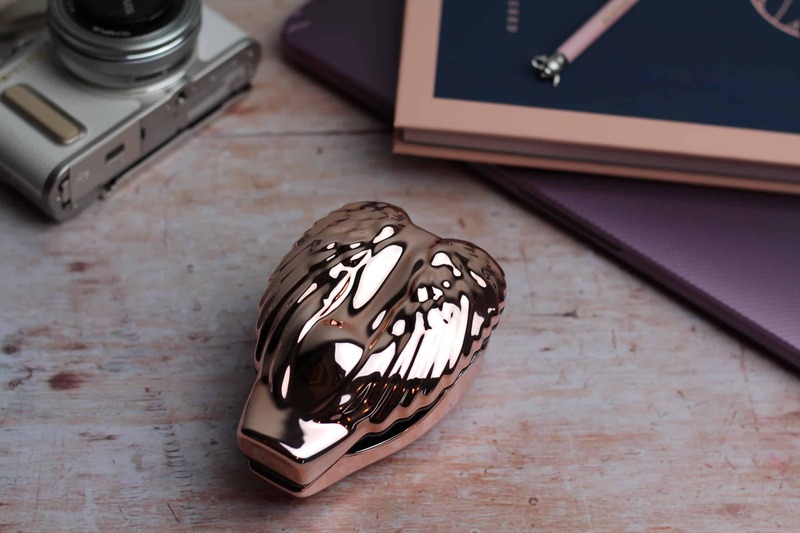 I love the handiness of the Tangle Angel Compact making it the perfect companion whilst on the go. The design is sleek and stylish and even though the brush is smaller than the Tangle Angel it is easy to hold and use. It’s nice having a brush that I can rely on that is gentle and doesn’t damage or break my hair when used. I think Tangle Angel are affordable and stylish making them a great accessory for anyone. Stitch enjoyed being groomed with the Pet Angel and found the whole process quite relaxing. It was easy and stress free to remove unwanted and loose hair from his coat and there was no discomfort or damage to his skin. The brush would also be perfect for anyone who has a long-haired dog and would be a great pain free way to detangle matted fur. 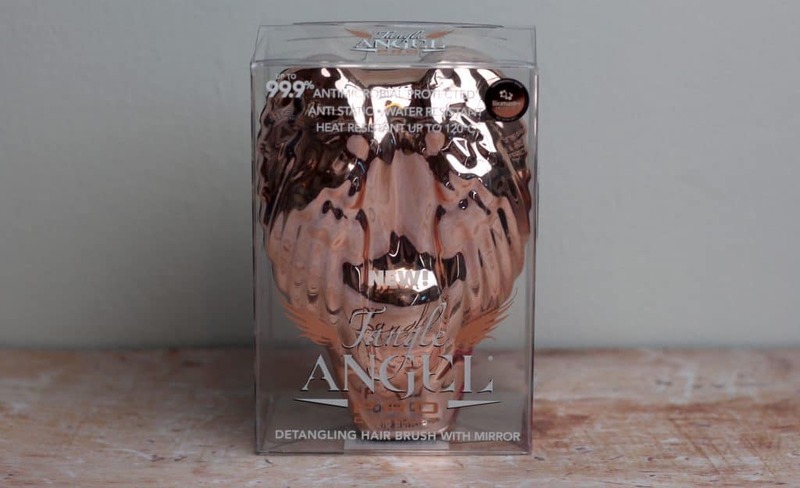 Tangle angel have an extensive range of different products to suit everyone and every hair type so be sure to check out the full range on their website here. The Tangle Angel Compact retails for around £19.50 and is available in Rose Gold or Titanium. The Pet Angel retails for around £14.95 and comes in a range of colours perfect for any pooch!! *We were sent both the Pent Angel & Tangle Angel Compact on a gifting basis in return for an honest review. All words, views & opinions expressed in this post are honest and my own. For more information on any of this please visit this page.